The Kettle River in Ferry County, Washington, seen here at mile marker 185 on Highway 21, has tied a flood record last set in 1948. It’s a record year for flooding in northeastern Washington as spring runoff makes its way into the region’s rivers. At least eight rivers are at or above flood stage. Nearly all of them cross the U.S.-Canada border. British Columbia saw a near record snow year in the mountains this year and now that temperatures are warming, the runoff from snowmelt is making its way into rivers and lakes. In Ferry County, the Kettle River near Ferry has tied a flood record last set in 1948. 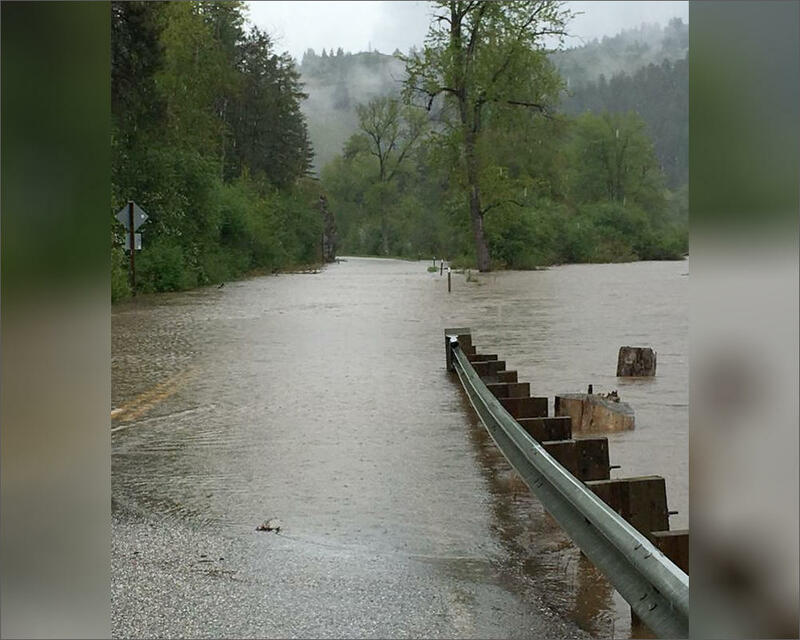 Earlier this week, the Ferry County Sheriff’s Office issued evacuation notices. They’re also notifying residents of where to get sandbags and sand to fill them. Runoff has filled Osoyoos Lake on the Okanogan River. The lake level is higher than it has been in a decade. A spokeswoman with the National Weather Service in Spokane says the agency expects rivers to stay above flood stage through next week.